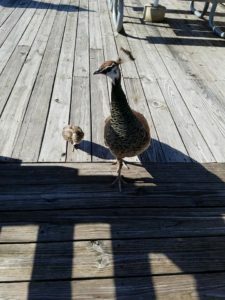 This post was written by Stephanie Coligan, one of our Florida Mom bloggers, who received complimentary tickets for the purpose of writing and sharing this review with you! If you will be traveling to South Florida there is an attraction that is a must do!Everglades Holiday Park in Davie, FL is a great place to spend a few hours in a beautiful environment seeing many different varieties of animals such as peacocks with their babies, iguanas, many different species of birds, and the main attraction…alligators. 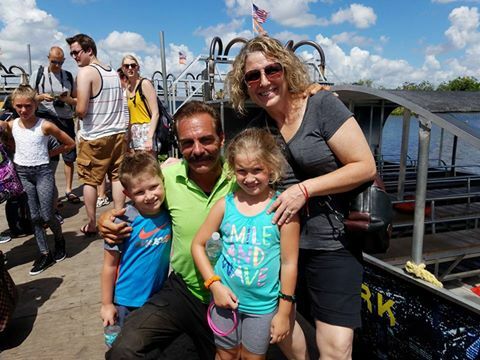 Hop on an airboat with one of the amazing captains and get up close while watching the alligators in their natural habitat and learning fun facts about them such as how to spot a nest, where they are most likely to be found, and other cool things. 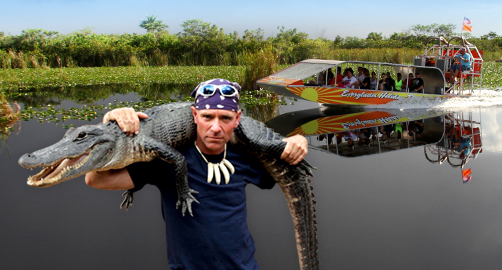 After you enjoy an hour long airboat tour of the Everglades head on over to the gator show with Animal Planet’s Gator Boys! At the end of the show you are invited to hold a baby alligator and have your picture taken. Save on this family vacation deal when you print the coupon and visit before January 3, 2017. I recently visited with my mother and two children. We had an AWESOME experience! Our airboat captain was Captain Rick and his boat is the Battleship. I highly recommend requesting his boat. All the captains are great but he gives a very special tour to which we have been sworn to secrecy! 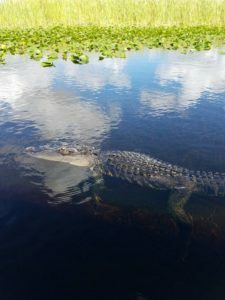 Captain Rick has 46 years experience in this part of the Everglades so he knows every spot that is hot and seems to have a personal relationship with some of the gators; like Romeo and Juliet who surfaced as they heard him calling for them. It was truly fascinating! 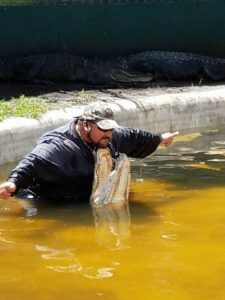 We also went to the gator show and it was very informative. The Gator Boys have a TV show on Animal Planet and when they are not filming they are out trapping alligators labeled as a nuisance. It’s a bit scary how close they get to those gators! children said it was the “best day ever!” As parents, we live to hear those words! 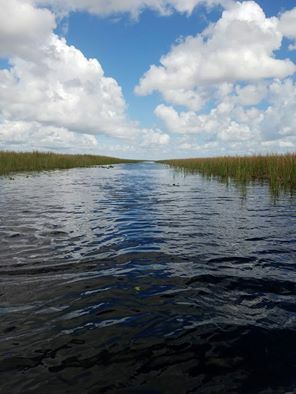 Everglades Holiday Park should be on everyone’s bucket list! One bit of advice, the ticket counter takes all forms of payment however, the air boat captains and the Gator Boys work from tips so please bring cash. They absolutely earn it! 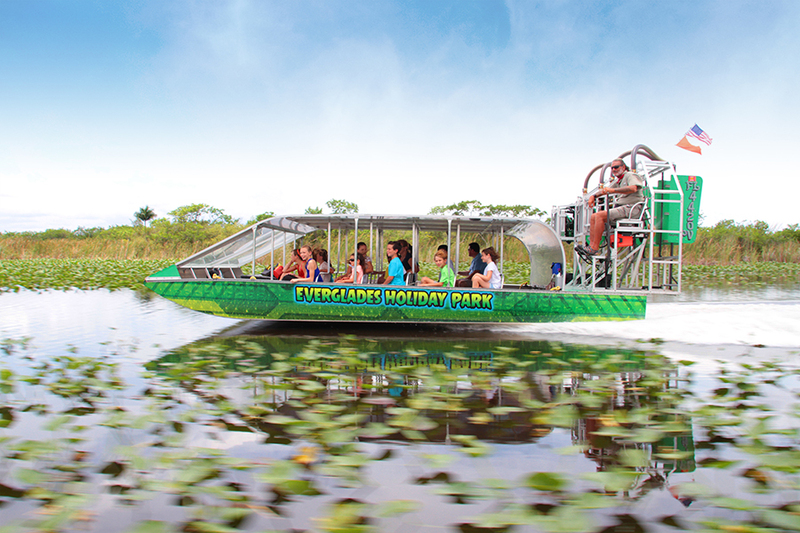 We hope you get a chance to experience the “real” Florida and Everglades Holiday Park.